Don Smith (California, United States) on 13 January 2018 in Landscape & Rural. 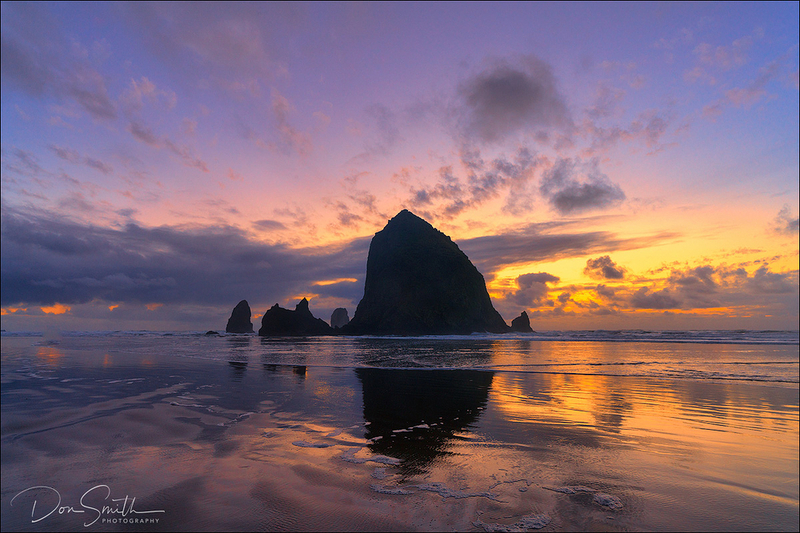 One more from an incredible Winter evening at Cannon Beach, Oregon. Martine took the words away from me! This IS Superb! I especially love the water just in the shadow of the big Sea Stack....it's reflection is different enough that it gives the illusion that the sea stack is elevated somewhat from the left and right water flow.....Hope I am making sense....Anyway, I love this piece Don! !